The next generation of Lexus’ flagship LS sedan offers more luxurious room while weighing less, thanks to the OEM’s use of higher-strength steels and an aluminum hood and trunk lid. Toyota formally announced the fifth-generation LS last month in Detroit at the 2017 North America International Auto Show. 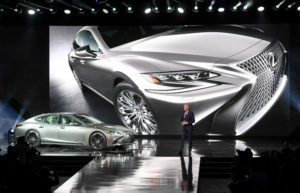 In terms of the exterior, the aluminum was limited to an aluminum hood and liftgate on the LS (and LC), according to Lexus communications manager Moe Durand. Durand said the car had 20 percent more ultra-high-strength steel of at least 780 megapascals or “higher” — grades of metal that carry strict rules on how repairers should fix it. Generally, this means no heat, straightening, or sectioning anywhere not specified by the OEM. Lexus’ news also noted that the chassis is stronger in part because of “(s)pecial braces in the engine compartment” and “stiff aluminum front and rear suspension towers.” The LS also “extensively” used aluminum for the suspension, the OEM said. The OEM also describes laser-screw welding as making a steel-aluminum front suspension tower design possible on the LC, and it’s possible this joining would carry over to the suspension features described above on the LS. “The use of self-piercing riveting allows these different metals to be securely joined where traditional welding methods are unsuitable: in place of spot-welding, the material is pierced on its upper side only,” Lexus wrote in December 2016 when unveiling the LC Coupe. In general, repairers should expect to encounter such joining techniques, which also appeared on the previous-generation LS and the next-generation 2016 RX. “Laser screw welding, body adhesives and other structural reinforcements increase rigidity and enhance control, steering feel and handling,” Toyota wrote of the 2017 LS. 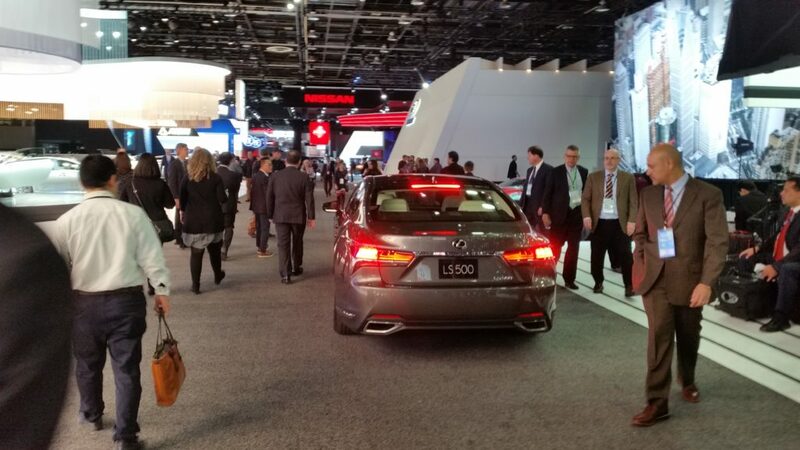 The Lexus LS is not as common as the rest of the Lexus line; it starts at more than $72,000 and sold 5,514 last year, down 23 percent amid a year of SUVs eating sedans’ lunch across the auto industry. 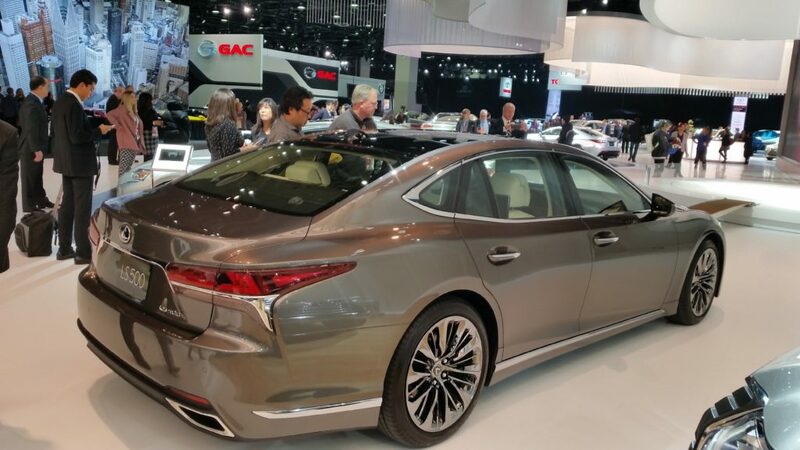 But it’s built on Toyota’s global “GA-L” luxury platform, which means the Lexuses more commonly seen in your shop will likely share similar body characteristics. Also, the car had a pretty sweet Super Bowl commercial, which could drive sales. For the mechanics out there: The LS contains the 10-speed automatic transmission first seen in the LC 500.